The mythology of the mood ring is something that dates all the way back to the 1970s. Mythology you ask? Let me explain. Throughout history, the mood ring has been the ultimate wingman. Helping men stay ahead of the curve when it comes to their relationships with women is not easy, but the mood ring has taken on this challenge mightily. The ring is not only a great gift but also doubles as an "emotional reader" so to speak, alerting men across the world when their wives or girlfriends are happy, sad or dreadfully angry. The color schemes and coinciding emotions are as follows: Violet means happy or romantic / Blue means calm or relaxed / Green means average or not much is going on / Yellow means tense or excited / Brown means nervous or anxious / Black means cold temperature or that the ring is simply damaged. Now that we are up to speed on the mood ring and what it represents, let's get into the mythology. **Spoiler Alert** Mood rings do not represent an accurate portrayal of the said person's emotional state. In fact the mood ring is normally hollow quartz or even a glass shell containing thermotropic liquid crystals. The crystals respond to the changes in temperature by changing their molecular structure essentially altering the color of light you see in the ring. Breaking hearts across the nation with the truth about mood rings is not what we aim to do here at Accessory Genie. We're happy to announce we've developed an upgraded replacement to the classic mood ring. Introducing the ENHANCE Color Changing Mood Lamp with Remote Control – the perfect accessory to any room, office, dorm or even when you just need a reading on the emotional state of your significant other. The ENHANCE Color Changing Mood Lamp sets the perfect atmosphere for your parties, romantic dinners, music sessions, dances, raves, festivals, camp sites, Halloween and more. 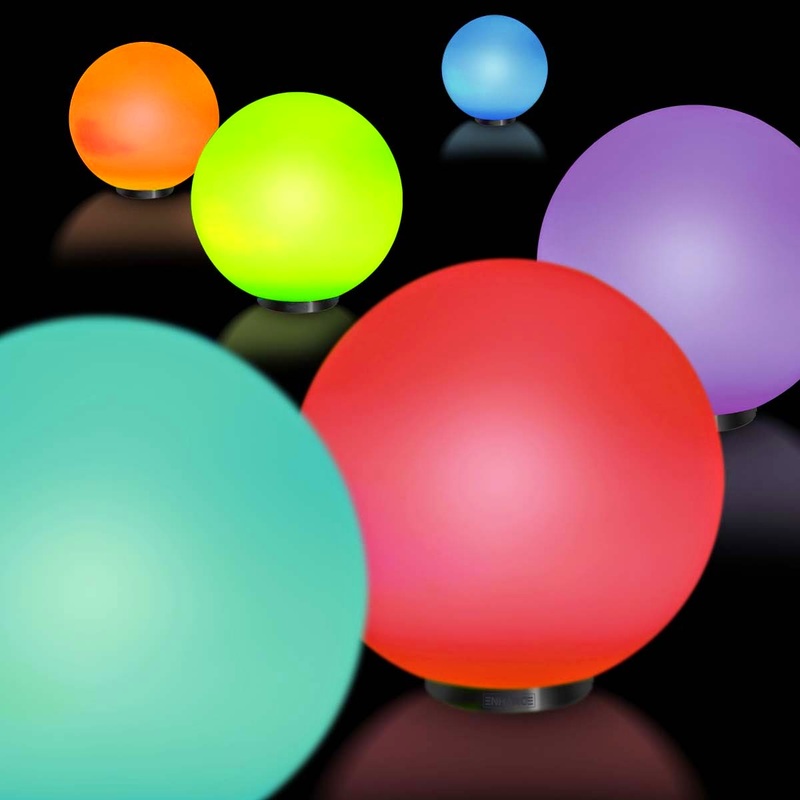 The mood lamp cycles through 256 colors between four color changing modes: Flash, Strobe, Fade and Smooth. The lamp can be used as a stationary light source powered by AC adapter or can be placed virtually anywhere using 3 AAA batteries. With the included remote, control and adjust color settings from across the room! Unlike the hollow quartz of the ring, the mood lamp encasement is made of durable hand-blown glass that houses and protects the LED lighting inside. In addition to cycle of colors, the mood light comes equipped with a standard white light that can be used as a night light when needed. The functionality and reliability of the ENHANCE Mood Light far outshines the false benefits of the mood ring that came before it. Like all ENHANCE items, the Mood Lamp comes with a 3 Year Manufacturer's Warranty. Visit www.accessorygenie.com and type in 'ENHANCE Mood Lamp' in the search bar to get yours today!